Here’s one of those times when not procrastinating can save you some money. On July 13, the Department of State bumps up “consular fees,” which includes new passports and passport renewals. The cost of a new adult passport will rise from $100 to $135, and from $85 to $105 for minors. Renewals will be $110 instead of $75, and passport cards will be $55 for adults instead of $45. 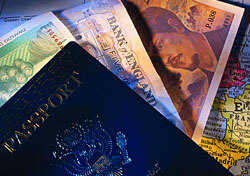 Additionally, there will be an $82 fee for adding new visa pages to a passport. The Department of State has the full list of passport fees, along with an adjusted chart covering visa fees, overseas citizens services, and documentary services related to Department of State records. So if you’ve been putting off getting or renewing a passport, this is good motivation to get it done.